All it takes is one look at the new Voutsa collection of upholstery, dinnerware and wall art to see: it’s undeniably full of life. With its high-intensity colors and motifs of whimsical creatures, it’s no surprise that Å“The walls are alive is the wallpaper company’s official motto. Naturally, we couldn’t resist putting George Venson, the founder and designer, on the spot a bit to find out if his personality was as vibrant as the products themselveswe were not disappointed! Read along as he dishes on everything from self-expression to avocados to summer entertaining. I think of all the ways one can stretch and sculpt the meaning of the wordneon jumpsuits, chain mail armor, Boy Scouts, those ˜70s images of wallpaper-curtain-sofa combos. And I think of the future! When did you know this was your calling? I like to let things happen as they must. I was very intrigued by the possibility of developing a self-sustaining business model, which enabled collaborations and commercial expansion, but also allowed for some form of creative self-expression. It felt more interesting to me, and more like a living art project. If you could get your hands on any material in the world to work with, what would it be? I’ve always dreamed of having an unlimited supply of Majorelle blue from Marrakech. I’ve been to Jardin Majorelle a few times and it just doesn’t get old, period. The powder used to create that blue paint is only really for sale there. What’s the secret to a successful dinner party? Any mood killers? I am believer in an abundance of bars. One should never have to wait! Asking guests to bring things is a mood killer. If you are going to throw a party, take care of everything. What’s your can’t-resist in-season summer fruit? What do you love about it? The everlasting avocado. It’s great on toast, and peeling it has this nice laborious component with the end result being a mushy heaven. I love to garden. My dream house has a maze of potted treesJapanese maples, cacti, lots and lots of ivy and flowers! I used to have a blooming rose bush. It was the most magical thing I have ever seen. 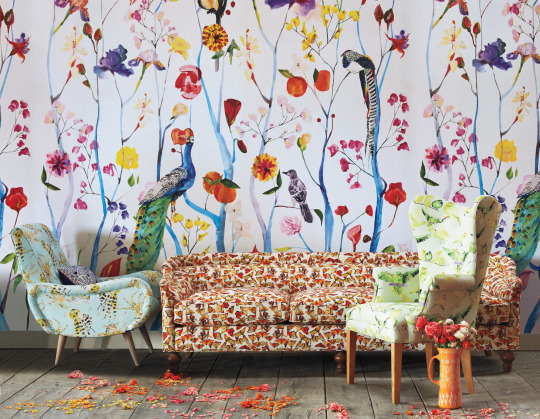 For even more lively lovelies, head over to our summer House & Home Lookbook.